Fresh skewered blueberries for garnish. Combine ingredients into a mixing tin, add ice, dry shake without ice, then shake with ice, and double strain into a coupe. 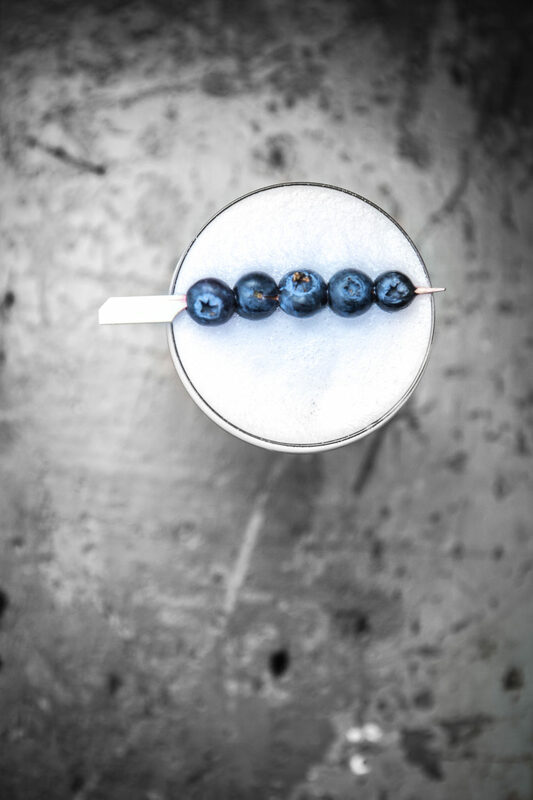 Garnish with skewered fresh blueberries.